State Department distances itself from Netanyahu's comments in UN speech regarding the similarities between Hamas and IS. The U.S. State Department distanced itself on Monday from comments made by Prime Minister Binyamin Netanyahu during his speech at the United Nations General Assembly. Speaking to reporters, State Department spokeswoman Jen Psaki particularly referred to Netanyahu’s comparison between Hamas and the “Islamic State” (IS or ISIS), as well as to his criticism of the UN Human Rights Council (UNHRC). “We believe they’re both terrorist organizations,” she said, responding to a question regarding Netanyahu’s saying that Hamas and IS are one and the same. 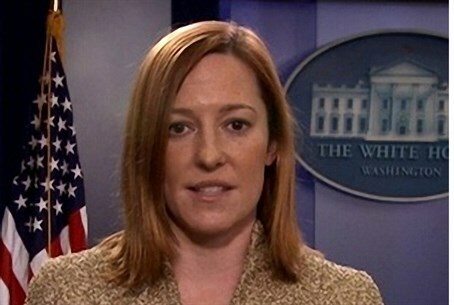 “We obviously believe that [IS] poses a different threat to the United States, based on, of course, the military action and other efforts that are underway,” added Psaki. “We don’t believe that Prime Minister Netanyahu or anyone else from Israel is suggesting that the United States launch a military campaign against Hamas, so we certainly – they are both designated terrorist organizations under the United States designations, but certainly we see differences -- in terms of the threat and otherwise,” she said. Psaki also distanced herself from Netanyahu’s comment that the UNHRC “has become a Terrorists' Human Rights Council", though she acknowledged Washington had some issues with some of the UNHRC’s actions. “We would not agree with that,” she said, when asked if the U.S. agreed with Netanyahu’s statement that the UNHRC is a “terrorists’ commission”. “We have obviously voiced concerns when we have them about actions that are taken, but no, we would certainly not agree with that characterization,” added Psaki. “We don’t see the need for heated rhetoric. But obviously there are times when we certainly agree, and we’ve expressed concerns in the past as well about the same organization and how they operate,” she said. Speaking to reporters on Sunday just before takeoff on his way to New York, Netanyahu reiterated his pledge to "refute the lies" against Israel at the UN General Assembly, particularly in the speech by Palestinian Authority Chairman Mahmoud Abbas, who accused Israel of “genocide” and “war crimes”. His associates later said the speech would be "razor sharp" and "worth the wait."